THE WELCOME RETURN OF BOB LIND. Bob Lind, it’s fair to say, is a many of many talents. He started life as a singer-songwriter in 1965, and helped define the folk rock genre. His debut single Elusive Butterfly gave Bob a hit single on both sides of the Atlantic in 1966. Five years and four albums later, Bob Lind turned his back on music. By then, Bob Lind had gained a reputation as difficult to work with. That wasn’t all. Bob was battling drug and alcohol addiction. Things weren’t looking good for Bob. It looked as if Bob’s life was spiralling out of control. However, Bob Lind was a survivor. Through sheer strength of character and sheer determination, Bob Lind overcame his addictions. He rebuilt his life and reinvented himself as a journalist and author. Bob Lind was back. Then in 2004, a friend encouraged Bob to make play live. Since then, Bob has been playing live and earlier in 2016, recorded a new album Magellan Was Wrong. The welcome return of Bob Lind was complete. For the seventy-three year old, this was just the latest chapter in the Bob Lind story. It began in Baltimore, Maryland on November 25th 1942. That was where Bob Lind was born and developed a love of music. Soon, he began to play guitar. Later, Bob embarked upon a career as musician. By 1965, Bob Lind was twenty-three and had just signed to World Pacific Records, an imprint of Liberty Records. It was an exciting time for him. He had just signed his first recording contracted and was about to record his debut album, Don’t Be Concerned. For some time, Bob Lind had been writing songs, which featured in his live sets. These songs showcased a truly talented songwriter. Already, Bob had a way with words. Elusive Butterfly, You Should Have Seen It, Drifter’s Sunrise, The World Is Just A “B” Movie and It Wasn’t Just The Morning were proof of this. They were among the twelve songs that would feature on Don’t Be Concerned. When it came to record Don’t Be Concerned, Bob Lind was paired with Jack Nitzsche. He was already an experienced producer, who had worked with a wide range of artists. Jack Nitzsche arrange and produce Don’t Be Concerned, which when it was completed, was scheduled for release in early 1966. Before the release of Don’t Be Concerned, Elusive Butterfly was released as a single. It reached number five in the US Billboard 200 and the UK charts. For Bob Lind, this was a dream start to his career. Things however, would get even better. Don’t Be Concerned was released to widespread critical acclaim. Critics were impressed by an album of carefully crafted songs, from a singer who they regarded as a rising star of folk. 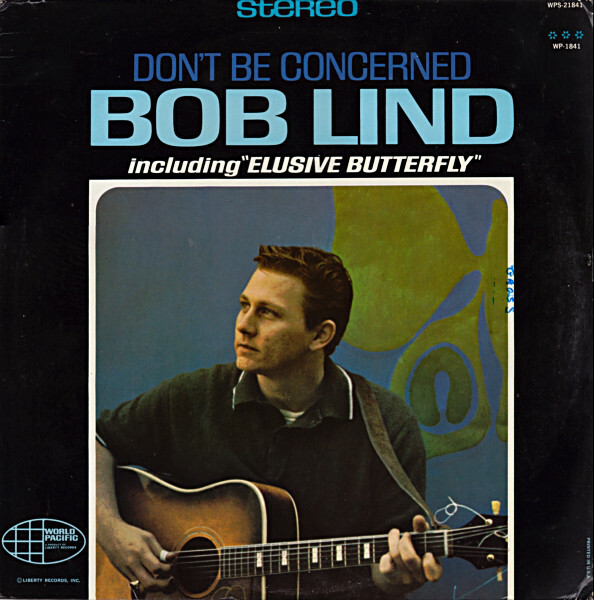 Bob Lind critics believed, would play an important part in folk music’s future. These were wise words, with Bob Lind playing an important part in defining folk rock. With critically acclaimed reviews and a hit single to his name, Bob Lind’s star was in the ascendancy. When Don’t Be Concerned was released in 1966, it reached 148 in the US Billboard 200. This was regarded as a success. For a new artist, in the folk rock genre, where most albums didn’t sell in the same quantities as those by pop and rock artists, this was regarded as a success. So World Pacific Records decided to build upon this success and sent Bob back into the studio. 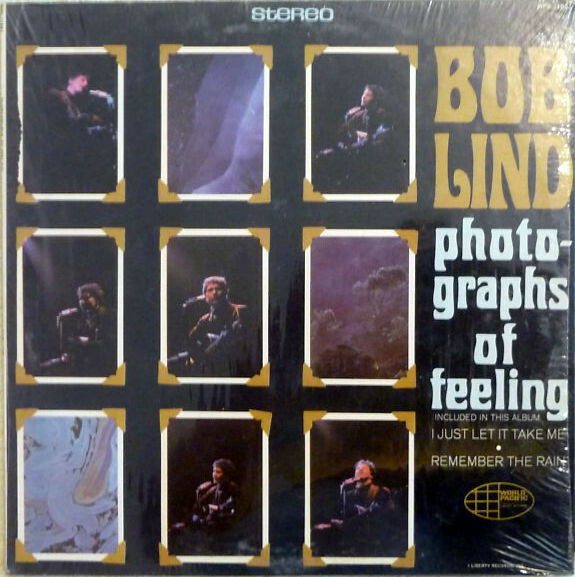 It was decided that Bob Lind should return to the recording studio, and record his sophomore album Photographs Of Feeling. World Pacific Records realised the importance of momentum, and wanted another album from Bob. So he began work on his sophomore album, Photographs Of Feeling. For Photographs Of Feeling, Bob Lind wrote the ten songs. Jack Nitzsche returned to arrange and produce Don’t Be Concerned. It would released in April 1966. Before that, critics had their say on Photographs Of Feelings. Just like Don’t Be Concerned, critics were won over by Photographs Of Feelings. It received plaudits and praise, who saw Bob Lind as an artist who was reinventing folk music, with the new folk rock sound. This was beginning to grow in popularity. Despite this, when Remember The Rain was released as a single, but reached just number forty-six in the US Billboard 100 and sixty-four in the UK. Compared to the transatlantic top ten hit Elusive Butterfly, this was have disappointing. So must have been Photographs Of Feeling failing to chart. Despite the positive reviews, of Photographs Of Feeling it never came close to troubling the charts. Despite this, a third Bob Lind album was released in 1966. 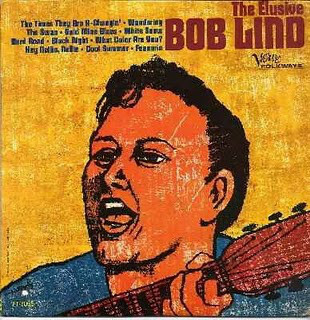 After releasing two albums for World Pacific Records, Bob Lind released his third album on the Verve Folkways label. It had been founded in 1965, as a partnership between Verve Records and Moses Asch’s Folkways Records. Signing Bob Lind, a pioneer and rising star of the folk rock scene, was something of a coup. So was releasing his third album, The Elusive Bob Lind. For The Elusive Bob Lind, eleven songs were chosen. They were mostly Bob Lind compositions, which were augmented by cover versions. This included Bob Dylan’s The Times They Are A Changing and the traditional song Hey Nellie Nellie. These songs were recorded with a new producer and became The Elusive Bob Lind. This time around, there was no sign of Jack Nitzsche, who had arranged and produced Bob’s first two album. Verve Folkways brought Pete Spargo onboard. He was a relatively new producer. His production career began in the early sixties, and since then, he had produced Willie Bobo, The Guitar Kings and Hugo Montenegro and His Orchestra. Bob Lind was the latest addition to what would eventually be a lengthy list of production credits. With Pete Spargo manning the board, Bob soon had his third album recorded. Now Verve Folkways began preparing for the release of The Elusive Bob Lind. Copies were sent to critics. They were fulsome in their praise of the album. Especially, Bob Lind’s songwriting skills, his unique vocal and how he could breath life, meaning and emotion into a song. Bob who had been one of the pioneers of folk rock, critics remarked, was continuing to redefine the genre with another album of influential music. It was released later in 1966. Despite the praise, The Elusive Bob Lind received, the album failed to chart. With two albums consecutive albums failing to chart, it was a worrying time for Bob Lind. Maybe, his single would get his ailing career back on track? There was a problem though. With Bob Lind’s last two albums had been released on different labels, they were essentially competing against each other. Five singles were released between April and October 1966. World Pacific Record released I Just Let It Take Me as second single from, Photographs Of Feeling later in June 1966. It stalled at 123 in the US Billboard 100. For Bob Lind, it was a case of close but no cigar. Especially when San Francisco Woman, was released as the third and final single from Photographs Of Feeling. However, when it was released in August 1966, it reached just 135 in the US Billboard 100. Bob Lind it seemed, was out of luck. Despite this, Verve Folkways Records decided to release White Snow from The Elusive Bob Lind. This was just the second single released from the album. It was released in October 1966, but failed to trouble the charts. After four consecutive singles failing to chart in the US Billboard 100. Bob Lind must have been wondering about his immediate future? After the roller coaster year that was 1966, Bob Lind continued to play live. He was still a popular draw, and had been since the earliest days of his career.Then in the spring of 1967, Bob Lind returned to the studio. This time, he only recorded two singles. Maybe World Pacific Records were being cautious, and wanted to gauge the success these singles? The first single, It’s Just My Love was released in April 1967, but failed to chart. Eight months later, Goodbye Neon Lies was released in 1967, but failed to chart. Little did anyone realise that Goodbye Neon Lies was Bob Lind’s World Pacific Records’ swan-song? By 1969, Bob Lind, like many singers and musicians had developed a taste for the rock ’n’ roll lifestyle. He battled drug and alcohol addiction. To make matters worse, Bob Lind was regarded as difficult to work with. That was the case with many artists. However, if they delivered the goods, then record companies saw as the cost of doing business with an artist. Sadly, by 1969, Bob Lind had neither released a single for two years, nor an album for three. There was no sign of any music on the horizon. Despite this, very few people would’ve forecast that Bob Lind would decided to walk away from his contract with World Pacific Records in 1969. Having severed his ties from World Pacific Records, very little was heard of Bob Lind. While he still played live, he never released any music between 1967 and 1971. That was when Bob Lind resurfaced, and signed a contract with Capitol Records. Not long after this, Bob Lind entered the studio for the first time in four years. He had written eleven new songs which would become Since There Were Circles. They would be recorded in Los Angeles. Capitol Records had booked the Record Plant in L.A. for Bob Lind. Producing Since There Were Circles was Doug Weston. He was joined by a tight, talented and experienced band that included ex Byrd Gene Clark. They accompanied Bob as he worked his way through an electric album. It veered between folk rock, Americana, country and even a hint of pop. Since There Were Circles was an album that should’ve appealed to a wide range of record buyers. With Since There Were Circles complete, Capitol Records scheduled the release of Bob Lind’s comeback album for later in 1971. Capitol Records sprang into action, and began promoting the album. The only concern was, that it had been five years since Bob Lind had released an album. That was a long time in music, where record buyers often, have short memories. At least, though, Bob Lind had been playing live during that period. So he wasn’t quite The Elusive Bob Lind. Critics certainly hadn’t forgotten Bob Lind. They welcomed the return of Bob Lind, and hailed Since There Were Circles a welcome return to form. Accompanied by some of the top session musicians of the early seventies, critics were impressed by one of Bob Lind’s finest albums. Would record buyers agree? Capitol Records released She Can Get Along in 1971. It was Bob Lind’s first single in four years single. Alas, She Can Get Along failed to chart. This didn’t augur well for the release of Since There Were Circles. It also failed to chart, and this marked the end of Bob Lind’s time at Capitol Records. Not long after leaving Capitol Records, Bob Lind turned his back on music. Bob Lind wasn’t the first, and certainly wouldn’t the last to walk away from music. During the wilderness years, Bob Lind befriended writer Charles Bukowski. They struck up a close friendship. So much so, that Charles Bukowski immortalised the singer-songwriter in his 1978 book Women. Bob Lind was the inspiration for the character Dinky Summers, who would regularly reappear in Charles Bukowski’s work. 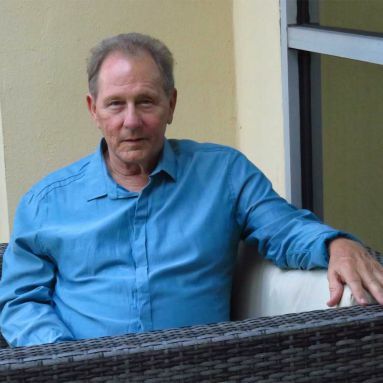 Ten years after Women was published, Bob Lind became a writer. Bob Lind decided in 1988 to follow the sun, and headed to Florida. That was where he embarked upon a new career, as a writer. The move to Florida, and career change proved successful. Not only did Bob Lind write five novels, but a stage play and the award winning screenplay Refuge. It went on to win the prestigious Florida Screenwriters’ Competition in 1991. This must have been the pinnacle of Bob Lind’s career as a writer. Later in his writing career, Bob Lind spent eight years as a staff writer at the supermarket tabloids Weekly World News and The Sun. This was very different from writing novels, screenplays or a stage play. The content was marketed as satirical and sensationalist, but often fell foul of the privacy laws. For Bob Lind, this must have seemed like a far cry from his days as a musician? Maybe Bob Lind would even consider a comeback? Thirty-three years after turning his back on music in 1971, Bob Lind had a change of heart in 2004. He was persuaded folk singer Arlo Guthrie, the son of Woody Guthrie, to make a comeback. The venue that was chosen was the Guthrie Center in Becket, Massachusetts. That night, Bob Lind’s love of playing live was rekindled. Soon, the sixty-two year old and Arlo Guthrie were heading out on tour. Since then, they’ve continued to tour. Bob Lind was back. Later in 2006, Bob Lind self-released his first live album Live At The Luna Star Cafe It featured the first new material Bob Lind had released since 1971. This was just the start of Bob Lind’s comeback. In 2007, a compilation of Bob Lind’s World Pacific Records’ recording was released. This was Elusive Butterfly: The Complete 1966 Jack Nitzsche Session. Suddenly, a whole new audience were discovering Bob Lind’s music. Over the next few years, interest in Bob Lind’s music began to grow. However, within the music industry, many artists and groups were familiar with Bob Lind’s songs, and had covered them. This included luminaries like Eric Clapton, Glen Campbell, Dolly Parton, Aretha Franklin and The Four Tops. They’re just a few of the artists who have covered Bob Lind’s music, and helped spread the word about one of music’s best kept secrets. With Bob Lind’s profile rising, cinematographer Paul Surratt finished a DVD about Bob Lind. It was a documentary, which also featured Bob Lind in concert. Bob Lind: Perspective was released in 2009, and introduced the singer-songwriter to a wider audience. However, there was still one thing Bob Lind hadn’t done since his comeback, release a new album. Bob Lind decided to rectify this in 2012. He returned to the studio with The Spongetones’ guitarist Jamie Hoover, and recorded thirteen Bob Lind compositions. 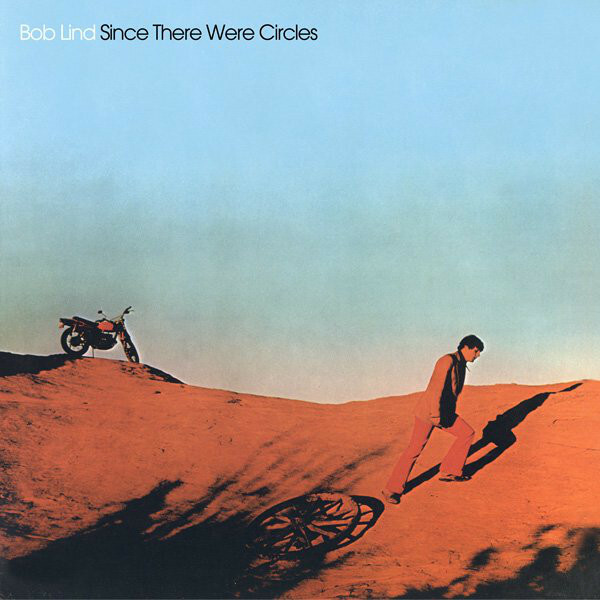 Jamie Hoover produced what would become Bob Lind’s first album since 1971s Since There Were Circles. Forty-one years later, Finding You Again was released on Big Beat Records, a subsidiary of Ace Records. Finding You Again was released to critical acclaim, and marked a welcome return to form from the seventy year old folk-rock pioneer. Now that Bob Lind had found his audience again, the big question was, when would there be followup to Finding You Again? 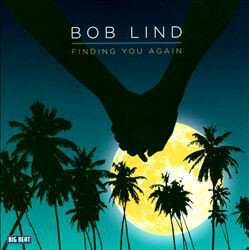 Four years later, and Bob Lind returned with the much anticipated followup to Finding You Again,Magellan Was Wrong. It featured Bob Lind eleven new Bob Lind songs and a cover Tom Paxton’s Bottle Of Wine. These songs were arranged and produced by Jamie Hoover. When it came to record Magellan Was Wrong, Jamie Hoover played many of the instruments on Magellan Was Wrong. Bob Lind played acoustic guitar, electric guitar, 12-string guitar and adds synth horns and vocals. Augmenting Jamie Hoover and Bob Lind, were a few musicians who added overdubs in two studios in Fort Worth, Miami. Once album, were complete, the welcome return of Bob Lind was one step nearer. Magellan Was Wrong was released earlier in 2016, and overwhelming critical acclaim. Bob Lind was the comeback King, having released the best album since he returned to music in 2004, Magellan Was Wrong. It’s a tantalising taste of what Bob Lind’s capable of. On Magellan Was Wrong, Bob Lind’s lyrics were beautiful, celebratory, cerebral, poignant, reflective, rueful, thought-proving and wistful. Songs about love, love lost, returning heroes and the sands of time running dry, sit side-by-side with a cover Tom Paxton’s Bottle Of Wine. Often, the lyrics are also cinematic, vivid and rich in imagery, as Bob Lind unmistakable voice switches between musical genres. Bob Lind it seems, is just as comfortable singing folk and folk-rock as he is country, jazz or pop rock. Magellan Was Wrong is a welcome return to form from Bob Lind. Belatedly, Bob Lind is making up for lost time. He turned his back on music 1971, and never to playing live until 2004. Despite that, Bob Lind wasn’t a forgotten man. During that period, many artists and bands continued to cover Bob Lind’s songs. Over 200 artists, including some of the biggest names in music covered his songs. This includes everyone from Eric Clapton to Glen Campbell and Dolly Parton to The Four Tops and Petula Clark. These cover versions introduced many record buyers to Bob Lind’s music. This was one way a whole new audience discovered Bob Lind. Other record buyers discovered one of Bob’s first four albums in second hand record shops. This was the start of a voyage of discovery. Having discovered Bob Lind, soon the journey was complete. It was frustrating, as record collectors soon owned Bob’s entire discography. Many record collectors wanted to here more from one of music’s best kept secrets. If only, Bob Lind would hit the comeback trail. Bob Lind was encouraged to make a comeback in 2004. Since then, Bob Lind’s career is enjoying an Indian Summer. This resulted in Bob getting a taste for playing live. He’s continued to play live since then, and this has resulted in a further resurgence in interest in Bob Lind’s music. As a result, there’s been compilations of his music released, and some of Bob Lind’s albums have been reissued. Bob even released a live album. However, the one thing that had been missing from Bob Lind’s comeback was a studio album. He rectified this with Finding You Again in 2012. 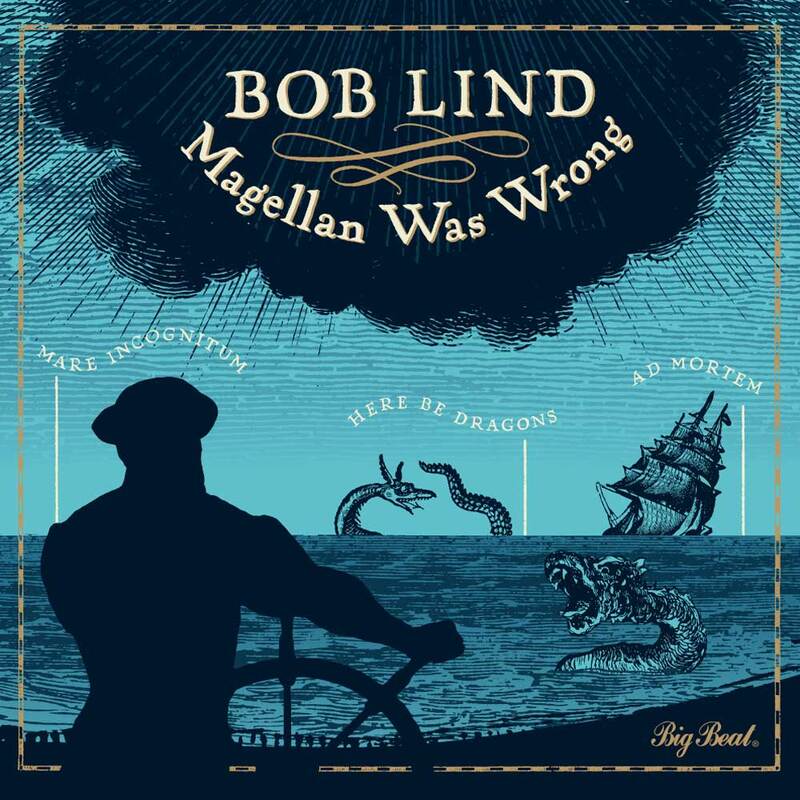 Four years later, and Bob Lind released one of the finest albums of his career, Magellan Is Wrong, earlier this year. By then, Bob Lind’s comeback was complete. He had come a long way since he signed to Pacific World Records in 1965. He’s matured as a singer, songwriter and musician, and belatedly, is enjoying the commercial success and critical acclaim his talents deserved. However, one can’t help but wonder what would’ve happened if Bob Lind hadn’t turned his back on music in 1971? At least, this allowed Bob Lind to overcome his addiction to alcohol and drugs. This wasn’t easy, and took strength of character and sheer determination. Eventually, Bob Lind managed to overcame his addictions. He went on to rebuild his life and reinvented himself as a journalist and award winning author. Eventually, though, Bob Lind returned to his first love music in 2004. Since then, a newly revitalised Bib Lind has been making up for lost time. Twelve years later, and seventy-three year old Bob Lind is still making music, and is receiving the critical acclaim his considerable talents so richly deserve. Long may the welcome return of Bob Lind continue. ← THE LLOYD COLE AND THE COMMOTIONS STORY, 1983-1989.